Magnetic glass boards - Designer pieces for any room. artverum® Magnetic Glass Boards are contemporary accessories for any interior. They are all about aesthetics and outstanding when it comes to safety and quality. 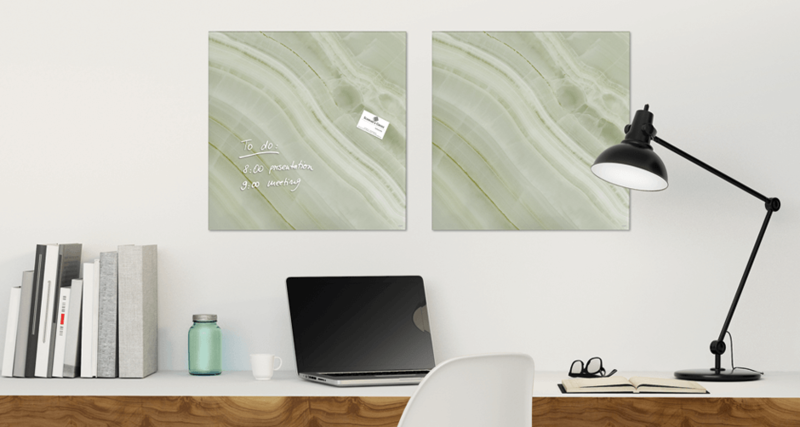 The surface, made of polished tempered glass, appears to float freely in front of the wall. Winner of many international design awards, it makes a striking statement in any room: as a stylish board for planning or information in the office or at home. Notes, business cards and much more besides are pinned magnetically, and the board can be written on and wiped clean, again and again. This is where international award-winning design meets absolute perfection. The artverum® Magnetic Glass Boards have won the red dot design award twice and have also been nominated for the German Design Council Award and the German Design Award. artverum® Magnetic Glass Boards are multipurpose designer pieces that stand for perfect organisation: they are magnetic and can also be written on. 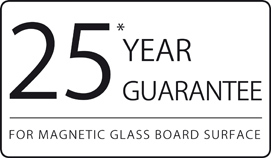 All of the magnetic glass boards meet the highest standards of safety and quality. The product safety of the magnetic boards is TÜV and GS-approved. They also come with TÜV-approved safety mounting fittings without frames, which hold the boards securely on the wall, creating a free-floating, contemporary 3D look. artverum® is a high-quality magnetic glass board made of tempered glass / safety glass. We provide a 25-year guarantee that the glass surface will remain perfect to write on and easy to clean when using Sigel accessories. Set the stage for inspirational interactions! 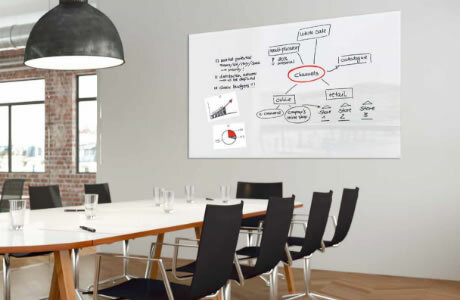 Sigel's artverum® magnetic glass boards promote uncomplicated knowledge transfer and an inspiring exchange of ideas among colleagues – a contemporary tool for meetings, projects and team work. The fast, simple way to make ideas comprehensible! In today's complex world of work, verbal communication is often no longer enough. The thoughts and ideas of all participants need to be visualised to achieve the best results. 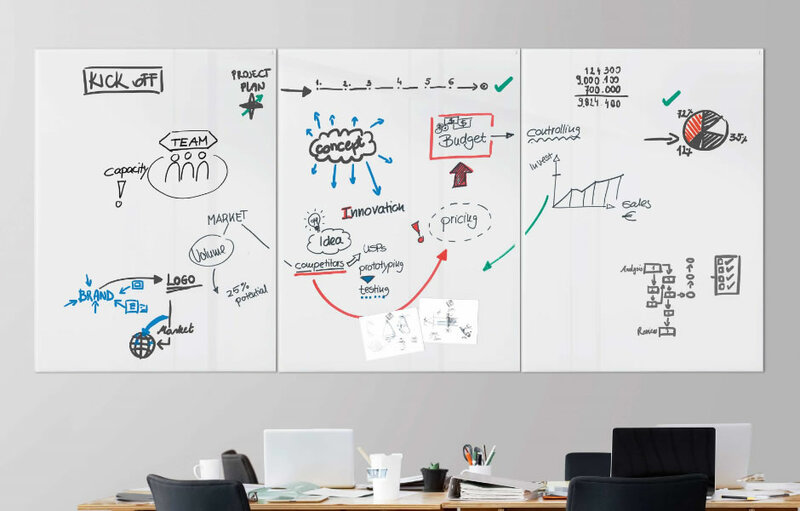 The Sigel artverum® magnetic glass boards are ideal for making ideas visible and comprehensible for everyone – for better understanding and even more inspiration. Active visualisation of ideas for greater creativity and success! 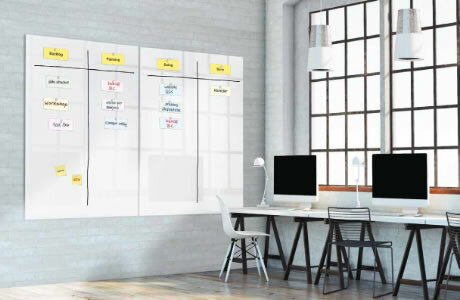 The artverum® magnetic glass boards enable visual work processes that are dynamic and goal-oriented. The glass surface ensures a smooth, pleasant writing experience. Make work more fun and produce even better results! The open look and high-quality surface of the board promote effective, interactive work processes and a detailed exchange of ideas during meetings. The team can develop the next steps of the project using the Sigel glass board markers in five colours – stored in the practical Clip & Organise pen pot. 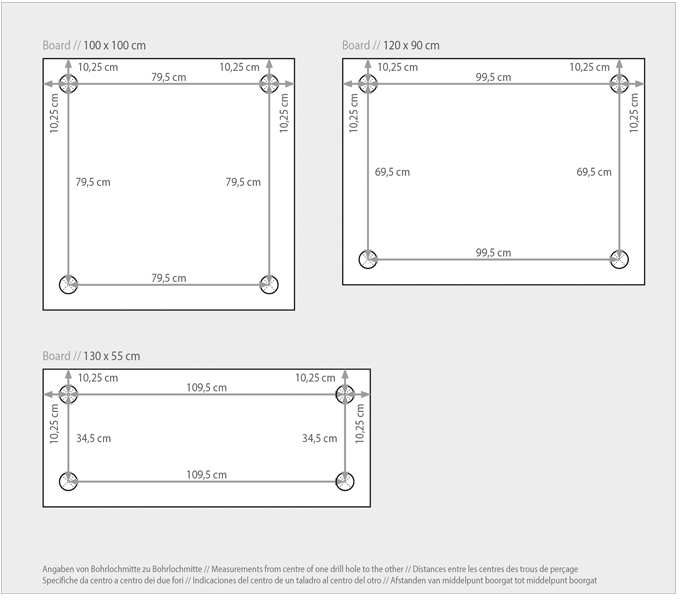 The boards are available in a range of sizes up to 180 x 120 cm. Ideal for agile methods such as Scrum or Kanban – successful teamwork is guaranteed. Extra-strong magnets and glass board markers by Sigel serve as visualisation tools. Project steps can also be depicted by attaching loose sheets, note cards, etc. to the board. The Clip & Organise storage tray keeps everything neatly stored on the board. 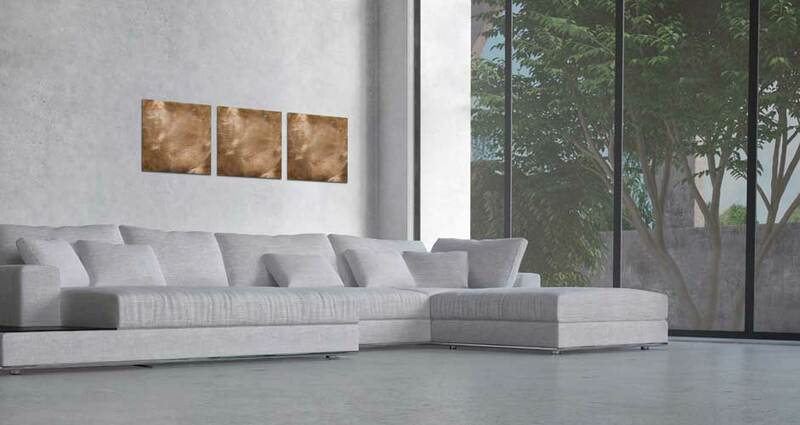 A generously large surface, clean lines and apparently free-floating – without the restrictions of a frame – that’s how artverum® creates space for inspiration, ideas and creativity. Several boards can be mounted side by side. Perfectly equipped with the Sigel starter set, ideas quickly fill the board – great things are sure to follow! The Clip & Organise products are the practical way to store office tools and keep them on hand. 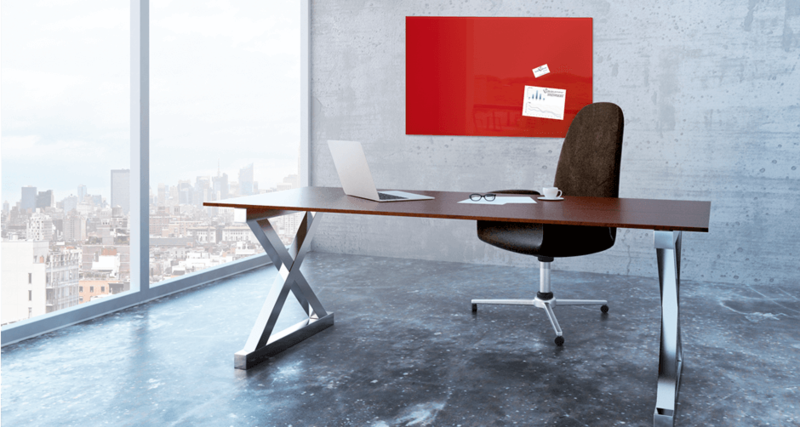 The classy material makes the magnetic glass board the perfect place for thoughts and ideas in your own office. In red, white or black, artverum® is a practical tool and eye-catching accessory in one. Extra-strong Sigel magnets and Sigel glass board markers add a personal touch. A glass board marker is always on hand with the Clip & Organise pen holder. 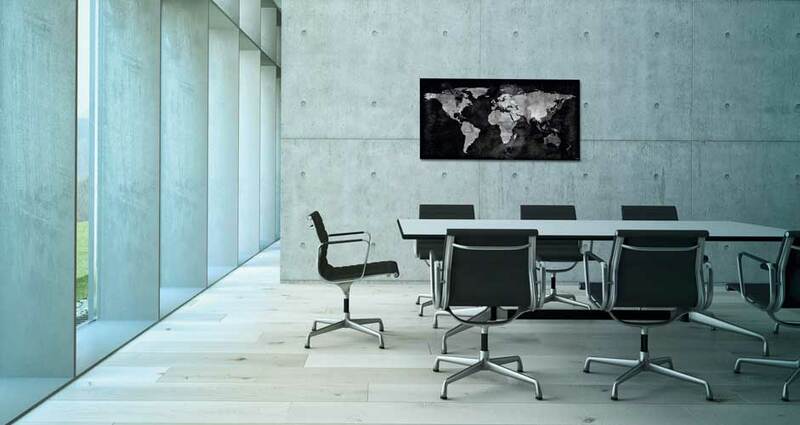 A genuine highlight: the frameless artverum® magnetic glass board in black. Notes are clearly legible with Sigel’s white glass board markers. Extra-strong Sigel magnets in metallic colours make a striking impression on the board. It is easy to write on the glass surface with Sigel glass board markers in a range of colours. The award-winning, extra-strong magnets in a choice of strengths are the practical way to attach papers. Cleaning the board is made simple with the board eraser, spray or cleaning cloths from the Sigel range. You would like to learn more about artverum® and receive individual advice - please contact us! International prize-winning design meets absolute perfection. This contemporary product for the wall is all about aesthetics. At the same time, it is a multifunctional notice board with the highest levels of safety and quality. 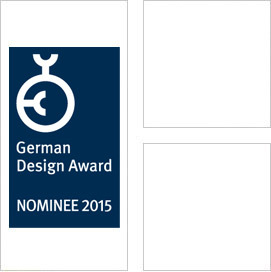 For the fifth time in a row, the artverum® magnetic glass boards impressed the judges of the GERMAN DESIGN AWARD. artverum® received a “Special Mention” in the “Office Furniture” category for outstanding design quality. The award-winning products include the new products for 2017: the classy natural stone designs “Black Marble” and “Green Mineral”, the new red boards in the practical 60 x 40 cm and 100 x 65 cm formats, plus the small, colourful C5 magnets. The timing was perfect: the products were able to show off their new award just as deliveries began. Other award-winners included the “World Map” design with its stylish stone effect, the four classy metallic designs, the circular and hexagonal boards and the mirror version of artverum®. The berry red boards and the colourful C20 magnets were also winners. These products have already proved that their design is superb, that they are of top quality and highly practical. Iconic Award 2017: The new artverum® products for 2017 came away as winners in the “Office and Workplace” category, one of nine different categories available. The individual winners were the classy natural stone designs “Black Marble” and “Green Mineral”, the cheery red boards in the practical 60 x 40 cm and 100 x 65 cm formats, plus the small, colourful C5 magnets. At the ICONIC AWARDS 2016 – INTERIOR INNOVATION, the new artverum® products for 2016 received the coveted "Winner" award in the category "Office and Workplace". 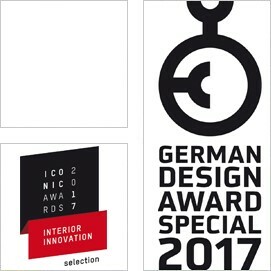 The previous competition organisers, the German Design Council, have now integrated the award – known as the "Interior Innovation Award" since 2002 – into their long-established architecture and design competition, the ICONIC AWARDS. The artverum® magnetic glass boards were able to profit from this stronger platform and further raise their profile in the interior décor sector. The individual recipients of the award were the new designer boards with the four different metallic structure effects and the "World Map" design, along with the mirror board and the new colour, berry red. 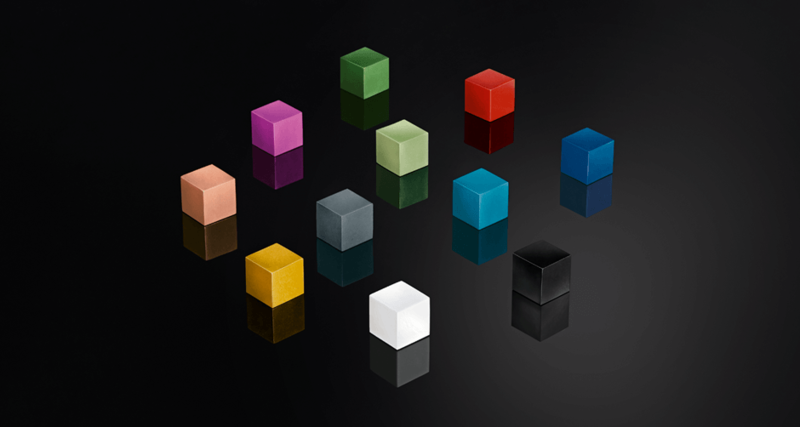 In addition to this, the new shapes, circle and hexagon, which come in three smoky pastel shades, received the award. The winners also included the C20 SuperDym magnets in silver, along with the new colour variations: copper, gold, black and white. Our artverum® magnetic glass boards have won another award. The new products for 2015, along with all of the coloured boards introduced to the range before 2015, have received the German Designer Club (DDC) “Good Design 2016” award. The German Designer Club award highlights outstanding design in ten categories, including brand communication, corporate design and architecture. The artverum® magnetic glass boards impressed the judges in the “product” field, and are one of the 16 winners in this category. 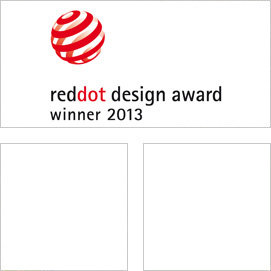 This is the 14th award for the artverum® magnetic glass boards. Overall, Sigel products have received more than 40 design prizes. Special Mention: This year’s new designs and colours for the artverum® Magnetic Glass Board range have been well received: they have already won the “Interior Innovation Award – Selection 2015”, and are now up for a further prize through their nomination for the “German Design Award 2016”. A contemporary designer piece for the wall, they are also multifunctional information boards that meet the highest standards of safety and quality. They are ideal both for attaching notes magnetically and for writing on. The new trendsetting designs include a fascinating 3D look and natural wood-grain structures that make a bold statement on any wall. The stylish new colours, petrol blue and green, add a sense of harmony and freshness to interiors. 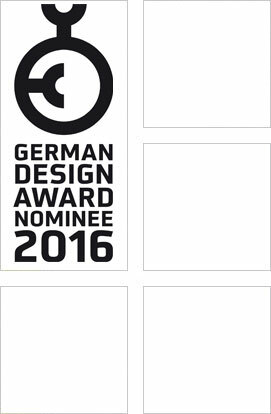 Nominee: The artverum® Magnetic Glass Boards with the fascinating 3D look, natural wood-grain structures and in petrol blue and green have been nominated for the “German Design Award 2016”. These new trendsetting designs make a bold statement on any wall and add a contemporary flair to interiors. The nomination is a testament to the high design standards of the artverum® products. 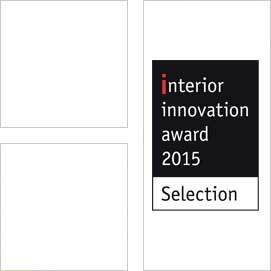 For the first time, the artverum® Magnetic Glass Boards have received the most renowned design award in the interiors sector, namely the “Interior Innovation Award – Selection 2015”. The artverum® “3D graphics” and “Wood” designs were among the winners in the “Office and Workplace” product category. The judges’ criteria ranged from features specific to the design, such as design quality, product aesthetics and degree of innovation, to functional features such as practical value, safety and durability. Magnetic Glass Boards artverum® - Unique Design by Sigel. Also with the "German Design Award 2015". The brand new artverum® white clinker design was honored by this year's jury with the "nominee" award. The naturally white, trendy loft-style white clinker combined seemingly optics with high-gloss tempered glass and is urban accents in interior design. "Only who is nominated for the, German Design Award ', has outstanding design expertise, "said the statement by the Design Council, the sponsors of the" German Design Award ". Because "only a nomination opens up the possibility measure to compete with the best of the design community. 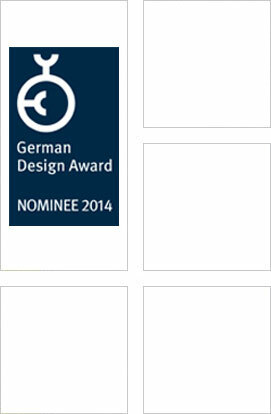 Thus, it is already an award for companies and designers, on, German Design Award 'to participate. " 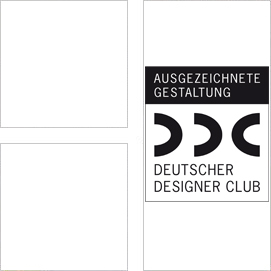 The jury of the German Designer Club has chosen the artverum® Magnetic Glass Boards for an award. The multifunctional information boards impressed the jury with their contemporary aesthetics. Werner Bögl, managing director of marketing at Sigel, is delighted to see that the triumphal procession of this particular product range is continuing. "We have succeeded in becoming the design leaders in this field" he says. This is underlined by the numerous prizes the boards have already won. The German Designer Club (DDC) is an initiative whose goal is to recognise and promote both "good design" and "good designers". The artverum® Magnetic Glass Boards and the classy SuperDym Magnets really stood out from the rest among the German Design Award 2014 nominations. 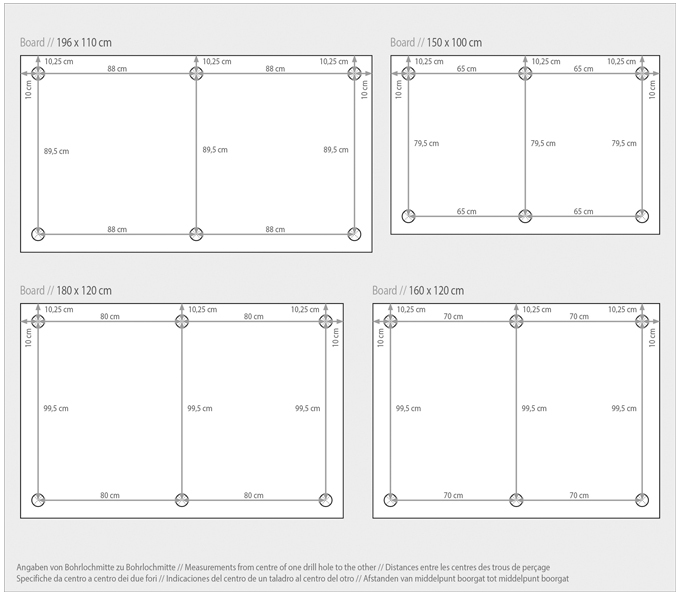 For example, the new large-format boards for planning and organisation, starting from the 100 x 100 format, were nominated for the prize. All of the magnetic boards are multifunctional. They are magnetic, can be written on and easily wiped clean. Look no further for a stylish alternative to classic whiteboards or flipcharts. The innovative magnetic glass boards with the projection-screen function were also nominated among other. The smooth satin surface on the front has been treated using a special technique, ensuring good projection in the 4:3 and 16:9 formats. The SuperDym Magnets with their contemporary cube design and highly polished surface won for their combination of a minimal, geometric shape and a strong holding force. 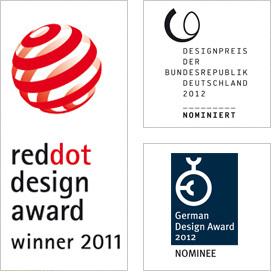 The German Design Award is a well-known, prestigious prize. This is partly due to the high reputation of its jury, the German Design Council, which has represented German design for 60 years and has skilfully and sustainably supported German businesses in questions of design. For this Design Council anniversary, the nominations for the German Design Award have a special significance: they represent 60 years of design culture. Sigel has won another prestigious award for its popular artverum® Magnetic Glass Boards in the form of the “red dot design award 2013”. The prize was awarded to the modern magnetic boards in the futuristic widescreen format. In addition to this, the innovative new boards for planning and organisation, starting from the 100 x 100 cm format, received the coveted award. The jury also awarded the “red dot design award 2013” to the innovative magnetic glass boards with the projection screen function. Films and presentations can be projected in superb image quality onto these boards. The new projection boards can be used as a projection screen, are magnetic and can be written on over and over again. The experts on the jury were particularly taken with the new designs in the popular, highly successful artverum® range, such as slate, fairfaced concrete and the new exclusive wide-screen format. 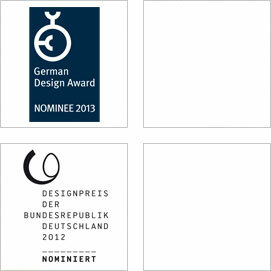 In fact, the new designs and formats have received two nominations: the “Designpreis der Bundesrepublik Deutschland 2012” and the German Design Council Award 2013. 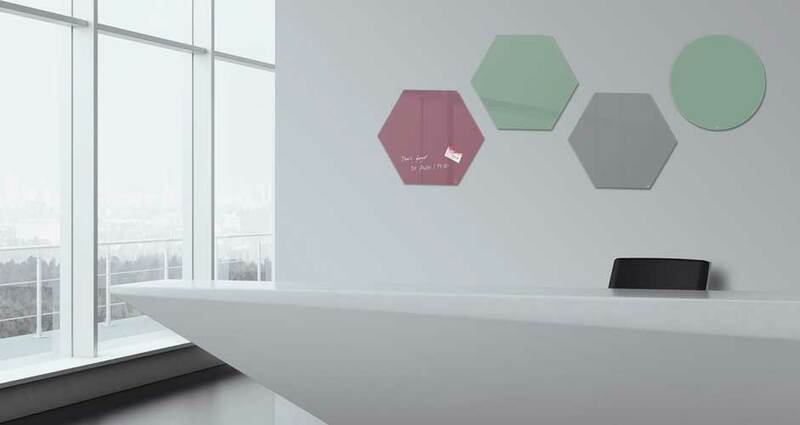 These classy magnetic glass boards scored high in the “Interior Design” category and received the title “red dot award: product design 2011”. The simple, linear design and highly polished, coloured tempered glass are indicators of both good design and the potential for market success. In 2012 the magnetic glass boards impressed the panel of experts once again, and were nominated for the German Design Council Award. Superb design and outstanding quality. All magnetic glass boards at a glance. Where functionality and aesthetics go hand in hand. Classy design and maximum holding force. artverum® Magnetic Glass Boards are contemporary accessories for any interior. They are all about aesthetics and outstanding when it comes to safety and quality. The surface, made of polished tempered glass, appears to float in front of the wall. Sigel gives a 25-year guarantee that the surface will remain perfect to write on and easy to clean. When Sigel accessories are used, e.g. the chalk markers and microfibre clot, the magnetic board can be written on over and over again, yet kept free of smudges and chalk residue. The centre of attention in any room, this winner of numerous international design awards is ideal as a board for planning and information, both in the office and at home. The artverum® Magnetic Glass Boards come with the highest levels of safety. No matter whether they are used in offices, public buildings and institutions, in the kitchen or even a child's bedroom, they hang securely on the wall. Both the special mounting fittings and the magnetic board itself have been tested for safety. After all, safety is one of our top priorities. The stylish artverum® Magnetic Glass Boards are absolutely state-of-the-art, adding a modern touch to any room. 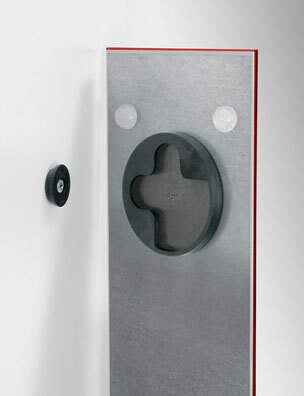 This impression is underlined by the special insert mounting system, without frames or brackets, that allows the board to apparently float weightlessly on the wall. The board's safety mounting fittings are TÜV-approved, of top quality and ensure the highest levels of safety. This type of wall mounting, especially developed for the magnetic glass boards, allows flexible mounting of the board in either portrait or landscape format. The safety glass ensures that the glass disintegrates into small, blunt-edged pieces if it breaks, guaranteeing the required level of safety. The magnetic board is simple to mount on the wall using the enclosed instructions, which include a template showing the distance between drill holes necessary for each individual board. The attractive, high-quality magnetic boards made of tempered safety glass are mounted without frames or brackets. The boards appear to float weightlessly in front of the wall, creating a contemporary 3D look. Before mounting, check that there are no service pipes, e.g. for electricity, gas or water, in that part of the wall. When mounting the magnetic glass board, please ensure that it does not come into contact with sharp objects or hard surfaces such as stone or tiles. We cannot accept any claims for resulting damage to the board. Place the board on a soft surface until it is ready to be mounted and do not remove the protective corners until it is attached to the wall. The magnetic glass board is for wall-mounting only. The magnetic glass board can be mounted in portrait or landscape format. The enclosed drilling template in the pack makes it simple to mark the position of the drill holes. The wall fixings are screwed securely to the wall using anchors and screws. The side of the board with the Sigel logo should be facing outwards. Tip: Please use a spirit level to check that the wall fixings are lined up straight. The wall fixings have an oblong hole that can be used to adjust their position if necessary. To do so, loosen the screw and move the wall fixings vertically or horizontally as required. Then tighten the screw again. The magnetic glass board is then mounted onto the wall fixings. 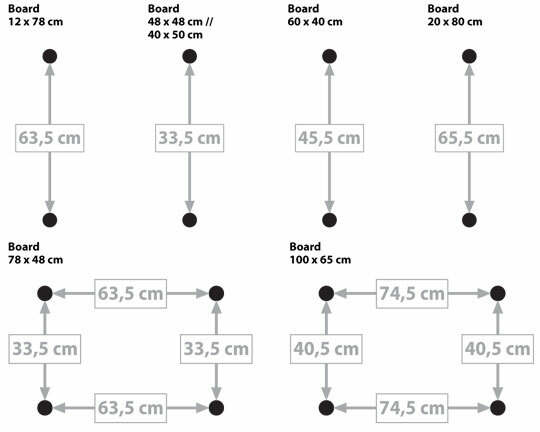 There are between two and six mounting fittings on the back of each board, depending on the board size. 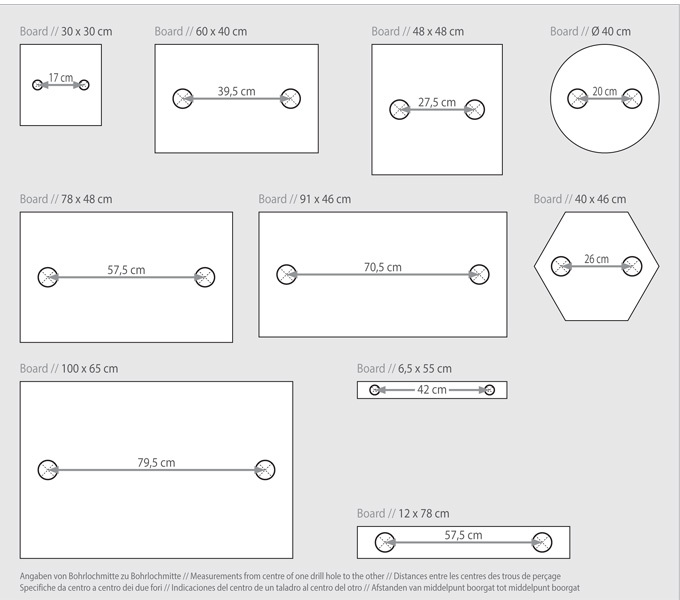 Each mounting fitting has two openings; the wall fixings must always be slotted into the top opening rather than the side opening, whether the board is hung in portrait or landscape format. Place the mounting fittings on the back of the board over the wall fixings so that the wall fixings are in the centre. Now slide the board downwards so that the wall fixings click into the mounting fittings and the board is mounted securely. Make sure that the magnetic glass board is clicked into all of the mounting fittings and check that the board is securely in place before letting go. Silicon pads on the back of the board keep it steady while it is being written on. A handle is enclosed as an aid to mounting for the large-format magnetic glass boards: 150 x 100 cm, 160 x 120 cm, 180 x 120 cm and 196 x 110 cm. These exclusive accessories from the artverum® range are perfect to go with the magnetic glass boards. The boards’ special properties require special magnets in order to guarantee a perfect hold for notes, flyers, pictures and so on. The magnetic glass boards can be written on using water-based chalk markers or with classic board markers (with ink). The boards are easy to clean: with a damp or dry cloth. 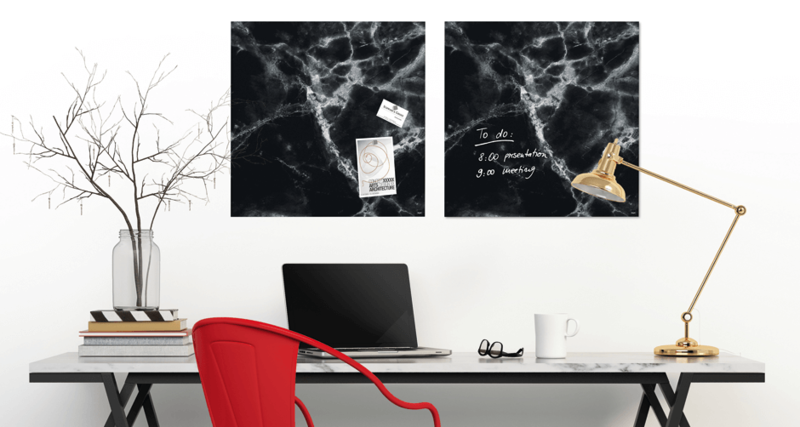 These award-winning magnets in an attractive cube form have a high-quality, polished surface that goes perfectly with the design of the artverum® magnetic glass boards. The magnets come in different strengths, allowing an extensive new range of applications for the boards. Letters, flyers, brochures, or even large-format prints can easily be attached. The new magnets combine extra-strong holding power with product design of the highest standard. 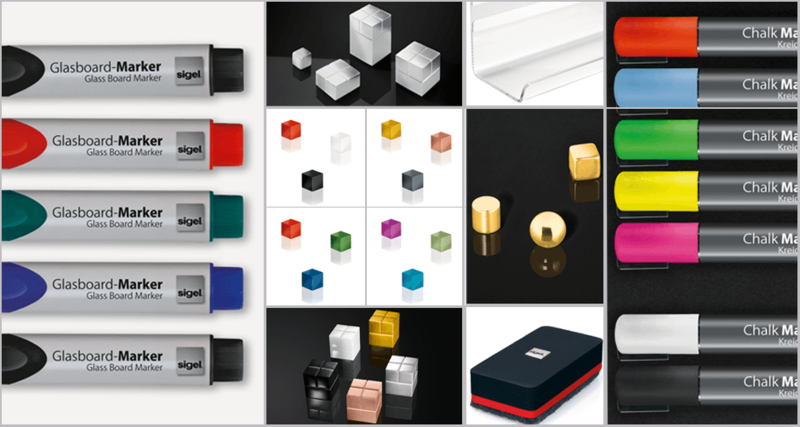 The beautifully designed SuperDym magnets received the renowned “German Design Award – Nominee 2014” for their superb design. The right marker for every application. The “glass board marker” is an all-round talent that is ideal for writing and presenting, quickly and easily, on magnetic glass boards, whiteboards or flipcharts. The pens come ready to use as the nib does not need to be pumped, and the ink is clearly legible. The glass board markers are available in four colours: black, blue, red and green. For a more striking effect, use chalk markers. These are available in different nib widths, making them ideal for a variety of uses – from thin, delicate lettering to decorative poster type. Chalk markers come in a choice of six different colours. Opaque coverage; the chisel tip enables different line widths (calligraphy-like effect); luminous, decorative lettering on all coloured boards and designs; makes a striking impression even when viewed from a distance; perfectly legible; dry or damp erase. Good coverage, but not completely opaque, simple to erase with a damp or dry cloth. Ergonomic pen with a soft nib that is pleasant to write with. Perfect for writing on magnetic glass boards, smooth glass and most sealed surfaces. PLEASE NOTE: cannot be erased from porous, unsealed surfaces such as chalkboards, chalkboard paint or chalkboard foil. Perfect for writing on the artverum® magnetic glass boards, whiteboards and flipcharts. Quick and easy to write on white or light-coloured magnetic glass boards. PLEASE NOTE: no colour fidelity on coloured boards as the coverage is not opaque enough. Before use, shake the pen and pump the nib on the writing surface several times until it fills with ink. Replace the cap carefully after every use. Store horizontally or vertically with the lid pointing upwards. Pens ready to use without pumping the nib. Horizontal storage is recommended. Catering outlets, hotels, reception areas, in the private sphere and much more besides. Not suitable for meetings as the nib has to be pumped before each use. In the office, during meetings, in the workplace and for jotting down notes in the home. Valve system (valve-action ink flow), i.e. the pen needs to be shaken and pumped before each use (otherwise it does not write or the ink coverage is very faint and watery). Explanation: when the pen is not in use, the pigment settles at the bottom. There is a small ball inside the marker that remixes the pigment with the rest of the liquid chalk when the pen is shaken. Fibre reservoir system (whiteboard marker function). The pen does not need to be “activated”, as the ink is contained in the fibre reservoir. Explanation: there is a so-called “fibre reservoir” inside the pen which is filled with ink and keeps the nib constantly supplied with sufficient ink, without the need of a valve. There is alcohol mixed in with the ink that prevents it from drying out too quickly. Pen tray, eraser & Co. 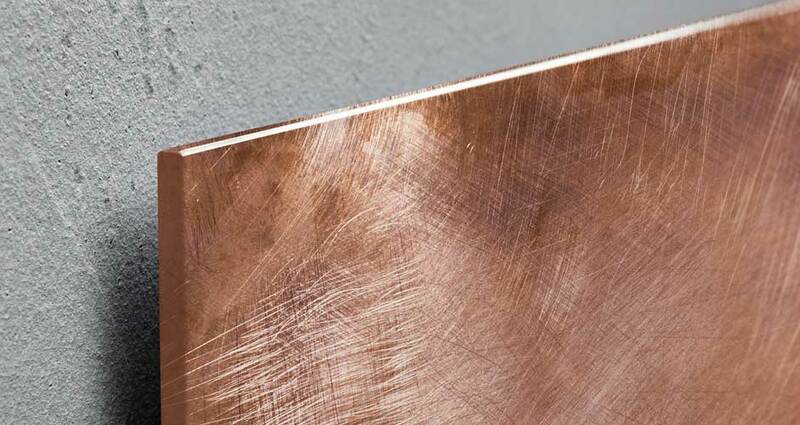 The artverum® accessories are great examples of the attention to detail that characterises this range. The pen tray, made of high-quality clear acrylic, is beautifully designed, with a simple yet elegant look. This classy, transparent accessory with its linear design is available in 2 lengths: 17 and 50 cm. It is 8 cm in width, with plenty of room for pens and a board eraser. The magnetic board eraser comes in a contemporary design and dry-erases chalk from magnetic glass boards, quickly and easily. The specially developed grey cleaning fleece removes chalk gently, without scratching the board. In addition to this, the eraser is magnetic, and can be attached to the magnetic board where it is always on hand, ready to use.